Happy Halloween and welcome to Flashback Friday! Since it’s Halloween today, then it’s only fitting to showcase a flashback Halloween project! These retired papers and stickers, called “Spooktacular” were from 2005. The color palette included: Black, Olive, Sunflower (retired), and Pansy (retired). The Halloween stickers were originally included with this kit, and the vellum sentiment stickers were an add-on item. 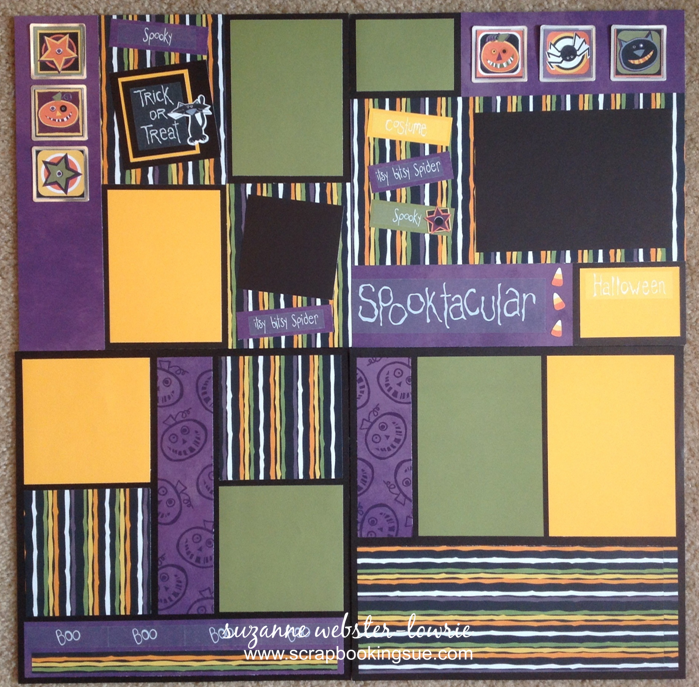 This layout used a retired Halloween stamp set for the background. 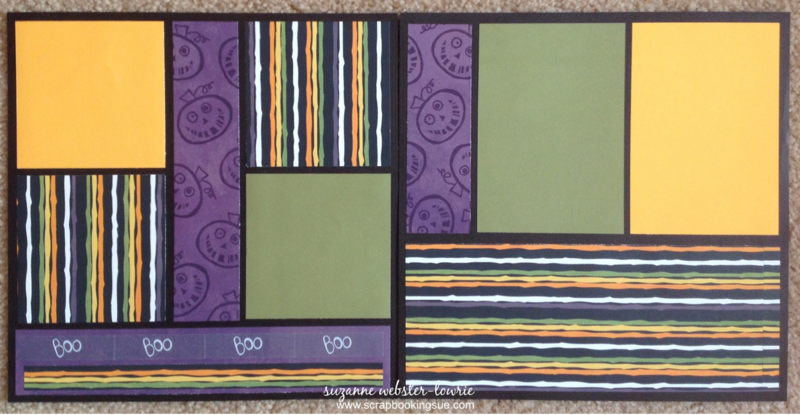 The pumpkins were randomly stamped on the Pansy purple cardstock to create a fun and interesting background. 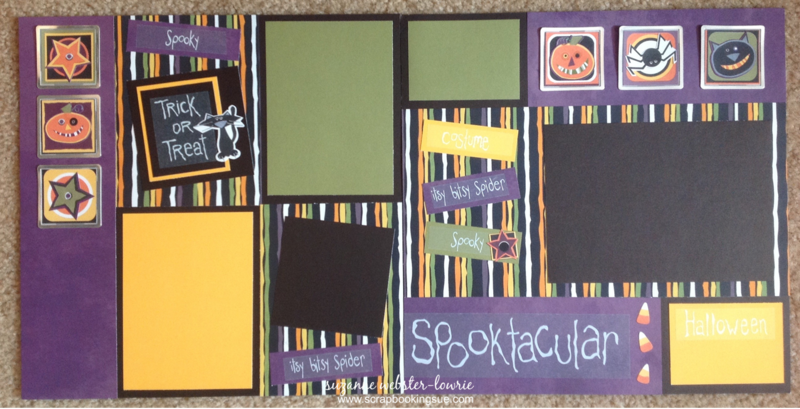 The “Boo” vellum sentiment stickers were added along the bottom for a unique border. I hope that you enjoyed a flashback look at some retired CTMH Halloween products. Have a “spooktacular” evening!